If you do not find the FAQ topic that you are seeking, please Contact Us and send a request for information to Info. How much are the annual dues and when are they payable? Annual dues are payable by cash or PayPal by December 31 each year - payment details are on our Pay BSCC Dues page. A late fee of $5.00 per month will be assessed for late payments. Any fees not paid by March 1 of the current will begin to accrue the monthly late fee. Dues are paid in full for the year by the current homeowner. If the home is sold during the year, the new owner pays a pro-rated payment for the balance, which is refunded to the seller in the closing process. Information about other fees for the association can be found on our About Us page. I just moved into Barkley Square. Where do I get a copy of the Deed Restrictions and Bylaws? First, welcome to our neighborhood. 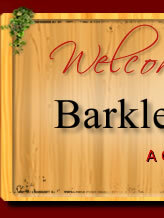 We have posted a Welcome to Barkley Square flyer on our site to provide you with some quick information that may be of interest to you. Copies of the current Deed Restrictions and Bylaws are conveniently available on this website. Go and click on Documents/Forms on the menu to the left. There is also a Summary of the Deed Restrictions provided for ease of reference. This is only a restatement of the Deed Restrictions to make them easier to read and does not modify the official document in any way. Under Documents/Forms you will find separate links under HOA Documents for these items. Click on the link and it will bring up a copy for you to review or print. I am selling my home. What do I need to do with the Civic Club? First, you should list our house on our web site to let people know it is available. Go to our Homes For Sale page. Also, look into getting a copy of the Request For Resale Certificate to provide to your buyer. This certificate is a protection for a buyer and provides information about any problems or obligations that a buyer is acquiring with the home. 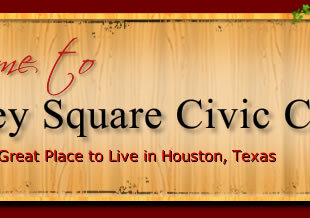 Read more about it from the TAMC Real Estate Center. Do you allow satelite dishes (small ones) and how difficult is it to get approval for their installation? Section 15.0 of the deed restrictions reads, "no antenna towers,masts, poles,dish type antennas shall be installed,placed, erected or located that will be visible from the street" Requests should be sent to the architectural committee stating location of dish. Go to our Documents page to find more specific information. The best way is to use our Contact Us form on the site. I need to ... (replace my roof, fence, exterior paint, remodel, expand, etc.) on my house. What approval do I need from Barkley Square to begin? Our Bylaws require that the Architectural Committee approve in advance any exterior changes to your home. Please send an email to the Archtectural Committee to commence this process. A phone call to the committee's chairman would be recommended. Go to our Documents page for more detailed information about Deed Restrictions. The Archtectural Committee's job is to insure that our deed restrictions are complied with. Who do I contact to obtain a Resale Certificate for the sale of my home? A Resale Cetrificate is confirmation that your mandatory Homeowners Fees to the BSCC are not delinquent. Confirming this status is a normal part of a closing, important to providing a clear title to the purchaser, and your broker should be familiar with the process. Please send a written request to the Treasurer for the certificate. You (or your Realtor) will need to complete the certificate form before submitting it to the Treasurer for approval. A copy of the blank form is available for your convenience. There is a $100 fee for the certificate. What are your fees for getting documents from the Association? My sidewalks are in bad shape, what do I need to do to get them fixed? In the City of Houston, sidewalks are the responsibility of the homeowner. An informative description of the requirements, as sent out by MCIA, have been posted to our News section. Please check there for more information. Where can I find the operating schedule for the pool? We have a pool reservations page where the pool can be booked for special events. The pool hours are described on that page. Click on the page link above to go to the page. What security do we have in the neighborhood? Constables from Precinct 5 contract with the club to provide security to the neighborhood. The phone number for the Constable's office is 281-463-6666, and all residents should make sure that they have this number readily accessible, and understand that this is the best number to call if there is a problem or if suspicious activity is noted. Our Security Lliaison for the neighborhood maintains a mailing list for alerts. If you would like to be added to this list, please send a note to this address. Constables patrol our neighborhood continuously and they can respond to emergencies faster than the police can respond to a 911 call. What should we do when people are going through the neighborhood soliciting door to door? This is not allowed by our neighborhood policy. The appropriate response is to notify the constable's office at (281) 463-6666 so they can deal with the violation. Can security check my house when I am out of town? The Constables office has a Vacation Watch form that you can file to notify them when you are going to be away from your home. The Constables will make a special effort to keep an eye on your home for you, even coming into the yard and walking around the house. Download the form from our site, complete it, and call the Dispatcher at 281-463-6666 to have a Constable stop by and pick it up, or fax it to their office at 281-492-3540. It is a very easy process and can provide additional peace of mind for you while away on vacation! Many of the pages provide you with information that might be of use to you, while others allow you to post information that will be of interest to your neighbors. If you are selling or renting your home, be sure to post it on the page "Homes For Sale or Rent". You can post "Classified" ads for other activities. If you are willing to provide "sitter services" (baby, house, pet, or other? ), post a notice under "Find a Sitter" so your neighbors can find you. We have a community forum available on the "Message Board". Correspond with your neighbors about anything of interest to you there. Post information about your pets on our "Pet Directory" in case your pet strays. It might get them home safely for you. Share your favorite recipes with your friends to build a community spirit. We have a pool that can be reserved for special events, and you can check the availability and make your reservation through our site. Just go to "Reservations - Pool" and follow the instructions. Want to find out official information about the neighborhood? All the relevant documents are posted under "Documents/Forms" for your convenience. We have also included links to other documents that might be of use to you, such as city information like trash schedules, etc. That is a lot, and there is lots more. Browse the site and learn what we have to offer. If there is something you would like to see, but cannot find, let us know. Go to the "Contact Us" page and send us a message. We will be looking for ways to make the site more useful and more interesting for our members, but you have to tell us what you are interested in!